The Collected Interior: Fabulous Found...Monogram Letters! Stef made these cuties with simple scrapbook papers & flowers... and of course Mod Podge. 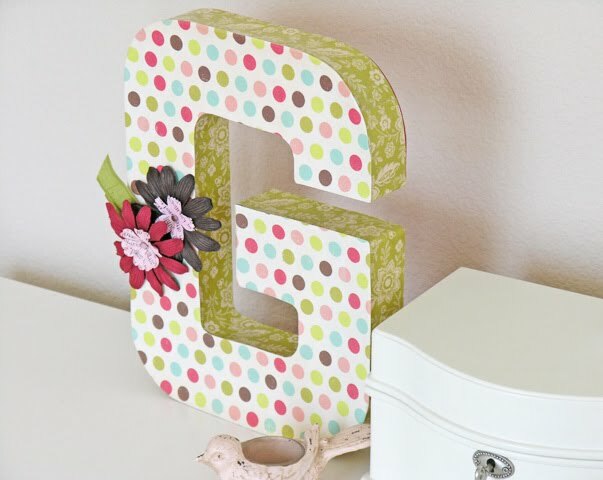 What a fun project that any girl would LOVE! 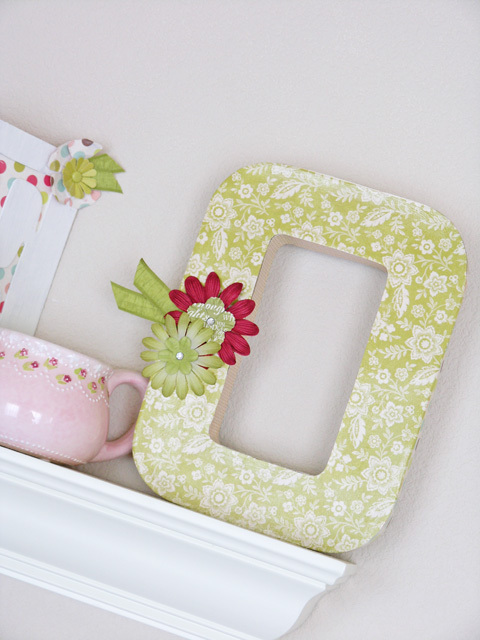 Click here for more Mod Podge Ideas & Inspirations! ohhh I really love these!!!!! They are so pretty. I am adding this to my lift of things to make as holiday gifts this year. Thanks for sharing and for the inspiration. Hey Jane, thanks so much for this posting. I went over to Girl Inspired and was so excited to see all the ideas she has posted there. Thanks for letting me know about her site! Love the monograms!! Very cool!! I love these too...and am totally doing this for my little girl's room! Such a great rainy day project! What a great idea! A little different from the standard monogram you see so often--these are really cute!